Deer ticks, it seems, get all the attention. You’ve no doubt heard that they can cause Lyme disease in dogs and people. But do you know about the lone star tick? One bite can cause a red meat allergy that can make you forego steak and burgers forever. It can also spread organisms that may cause serious and sometimes fatal diseases in dogs and cats. These crawling pests are just another reason why tick and flea protection should be on your to-do list this spring. Like other ticks, lone star ticks can transmit a number of bacteria and other disease-causing agents that can make pets sick. For instance, most can pass on protozoa that can cause a serious disease in cats called cytauxzoonosis. Infected cats may experience fever, difficulty breathing, loss of appetite, yellow gums and eyes, coma and death. While those organisms don’t affect dogs, lone star ticks can transmit other infectious agents that cause a number of other diseases that do harm dogs, such as ehrlichiosis, a disease that causes lack of energy, vomiting, enlarged lymph nodes and bleeding, and in some severe cases, death. To make matters worse, ticks of most varieties can carry more than one organism at once, making it possible for pets to be infected with multiple diseases. Like most ticks, lone star ticks are just as happy to bite humans as they are to feast on animals. And when they do, they can transfer pathogens that make people sick, too. In addition to ehrlichiosis, people can come down with other dangerous diseases, such as Rocky Mountain spotted fever. However, the lone star can cause problems that many of us will take very personally! If these ticks feast on cattle before they bite people, they can transmit alpha-gal, a sugar that can cause a red meat allergy in humans. Affected people may come down with hives — and potentially go into anaphylactic shock — about four hours after eating a hamburger. 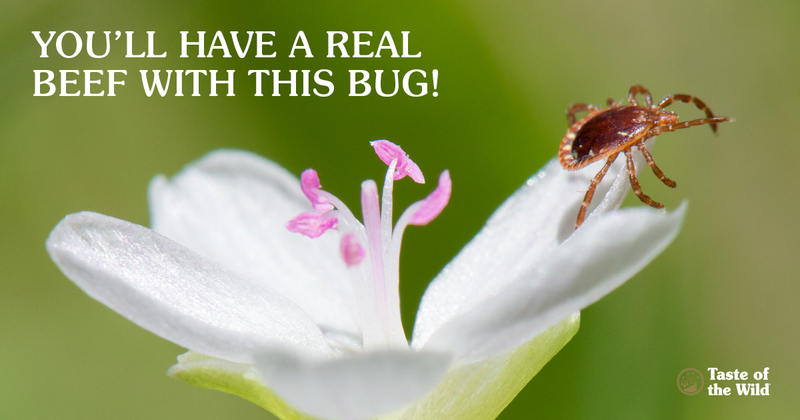 Just another reason to be diligent about your tick control. Although lone star ticks used to be limited to the southern states, they’ve now spread across the eastern two-thirds of the U.S. and as far north as Maine and New Hampshire. In fact, lone star ticks are now found in 30 U.S. states, according to the Centers for Disease Control and Prevention. What’s behind this geographic expansion? According to experts, many of these ticks hitched a ride on white-tailed deer, one of their favorite host species. Adult female lone star ticks are easy to recognize by the white dot or “star” on their backs. These ticks are often found in forests and moist, deep ground cover where there’s no sunlight to dehydrate them. Like other ticks, they will cling to a blade of grass or low-lying branch and “quest” for a host, meaning they’ll reach out their front legs to grab onto a person or animal when it passes by. But unlike other ticks, lone star ticks will also actually race toward their hosts. In fact, when the conditions are right, “tick blooms,” or swarms of immature stages of the lone star tick, can be released. Hundreds of these tiny ticks can crawl up pant legs, through socks or into pet hair in minutes. When walking your dog through the woods, it’s best to keep him or her on a leash and on the path or trails to reduce the risk of being exposed to ticks. After being outdoors, check your pet — and yourself — for ticks, and remove them as soon as possible. Also, clear any leaf litter from your yard to make it less inviting for ticks. The Companion Animal Parasite Council (CAPC) recommends that all dogs receive year-round tick control. Although cats that spend a lot of time outdoors are more at risk for ticks than indoor cats, remember that dogs and people can carry ticks indoors. Your veterinarian can help assess your pet’s risk and recommend tick control product that’s both safe and effective for your dog or cat.